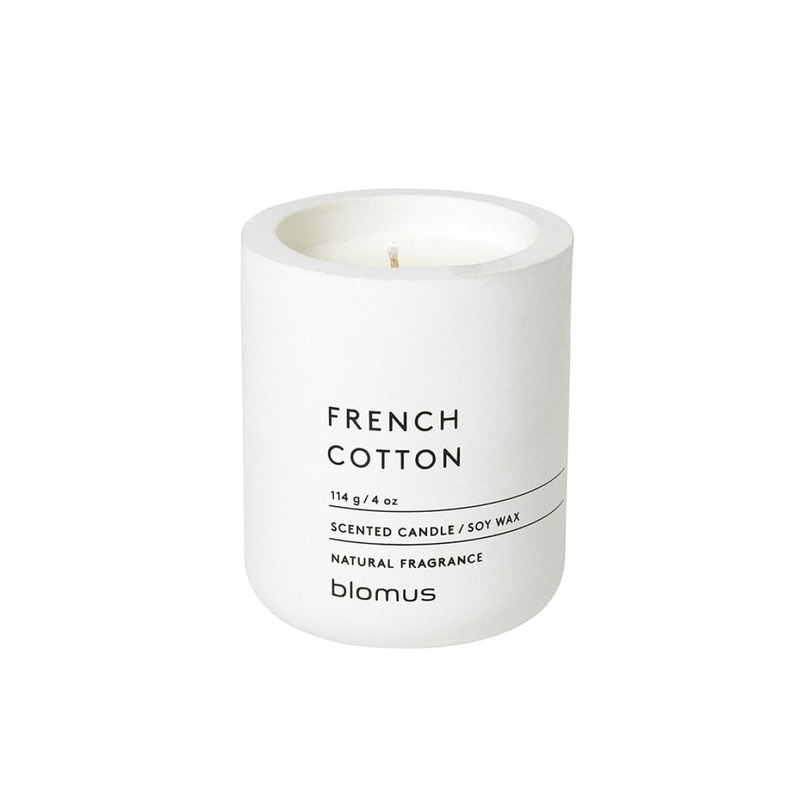 Fraga scented candles by Blomus create a delightfully relaxed atmosphere, while looking superbly elegant (French Cotton scent, small size). 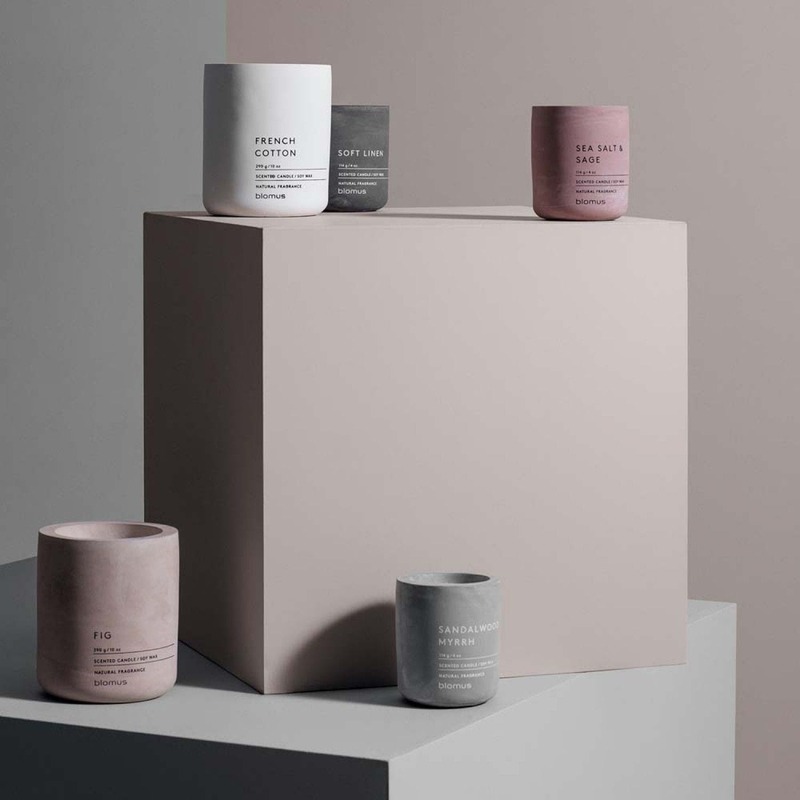 The characteristic concrete look in elegant white gives the lightly scented candle a unique touch. Thanks to the use of natural soy wax, the candle is free from toxins, environmentally friendly, and will burn for as long as 24 hours with extremely low soot production. Also available in large and in four additional colors.